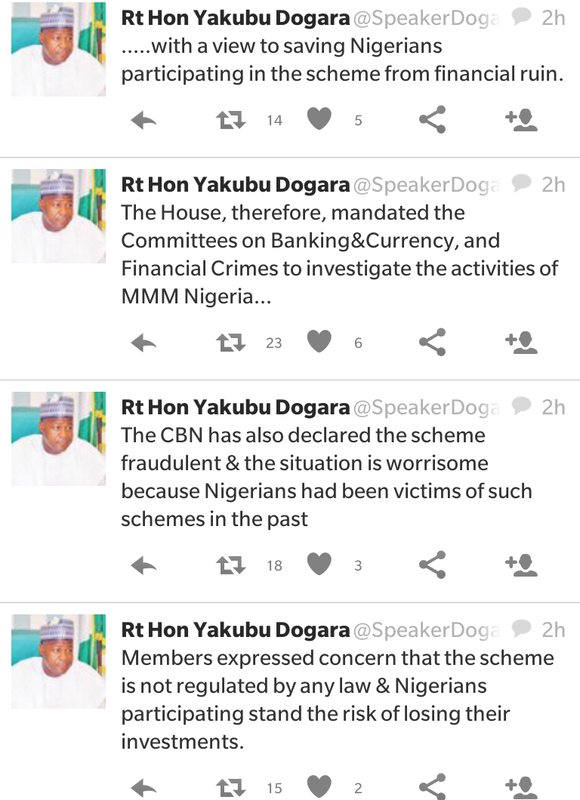 House of Reps Debunk MMM... Orders investigation and Arrest of Promoters. 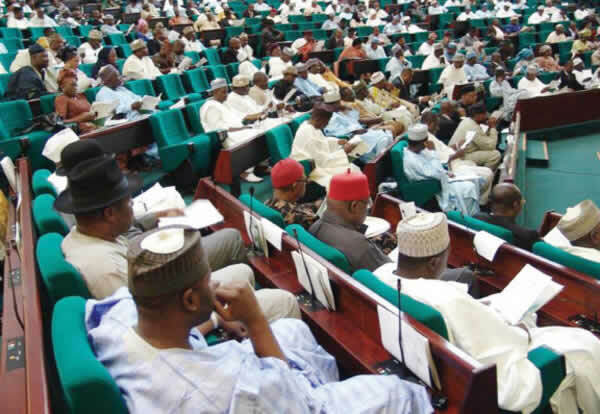 Members of the House of Reps have ordered its committee on Banking, Currency, and Financial Crimes to investigate the activities of Mavrodi Mondial Moneybox (MMM) scheme in Nigeria. 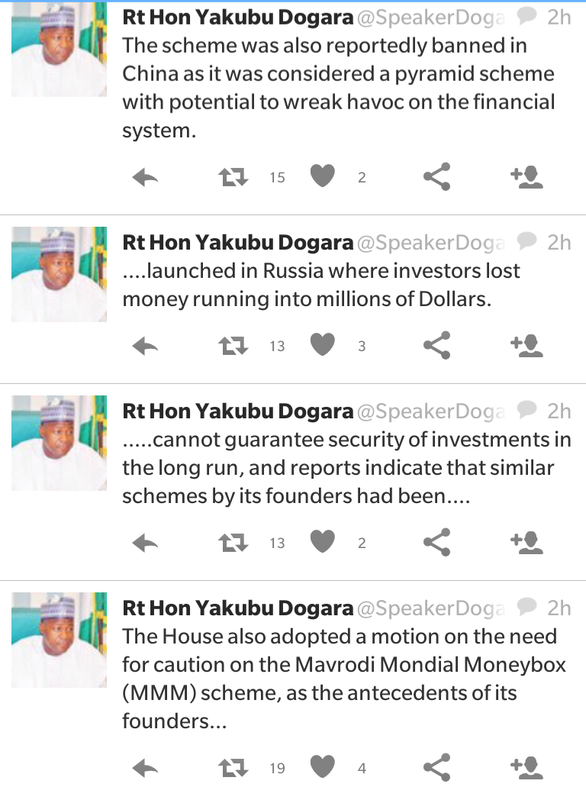 According to the Speaker of the House of Representatives, Yakubu Dogara, the house called for the investigation following growing concerns that the scheme is a scam. They worry that the scheme in Nigeria is not being regulated by any financial regulatory body and that many Nigerians may lose their investments like other participants of the scheme in Russia that have previously lost their investments. Members described the scheme as a “scam” and warned Nigerians not to be carried away by the “mouth-watering” returns on investments.